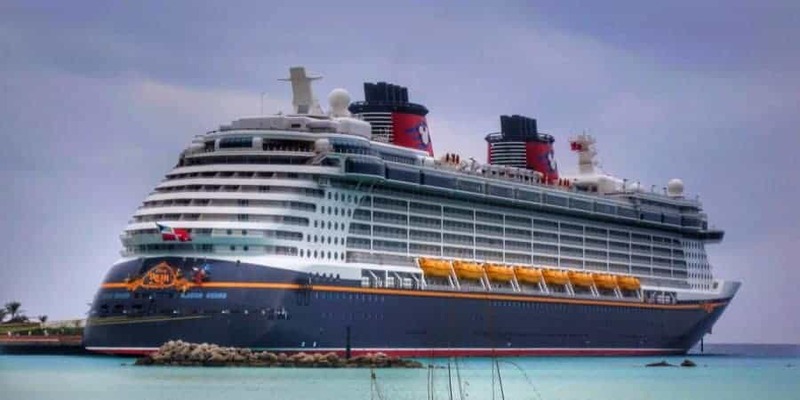 The most common questions we get on our Disney Cruise Line – DCL – Cruise Meet and Fish Extender FE Facebook Groups is, “How do I make a new cruise Facebook group?” I have put together a step by step guide to making a Facebook cruise group for your sailing. The first thing you need to do is click on the group button on the sidebar. From there you will want to create a group by clicking the create a group button or the plus sign. The next step to setting up a cruise Facebook group is to fill out the groups information. Name your group (1), the best practice is to use this format Disney “Your Ships Name” “Date of sailing”. An example is Disney Magic August 18, 2019. Try to not use August 18th. Ordinal numbers can make it more difficult to find your group. If you want to add the cruise destination, try and add it after the date, this will also make it easier to find your cruise. The next step (2), is to add a friend to the group. You need at least one other person in your group. The third step is to choose the group privacy. Closed is the best. The Public setting allows anyone to join and the Secret setting makes it impossible to join without an invitation. I like to pin my groups (4) to shortcuts to make them easier to find. Finally, click Create (5) and you have a new cruise group. Next, you will want to set the groups settings. Click the more (1) button and choose edit group settings. You can change the group name (2) if you need to. To set the Group Type (3) click the “+”, Travel, in my opinion, is the best choice. Write a quick description of the group if you want. Usually something simple—stating it is a group to plan for your upcoming cruise. Further down the page you will find a few more settings. Membership Approval (1), I usually leave it as anyone in the group. This will allow people to add their family or friends without administrator approval. It still requires the administrator to approve anyone who asks to join the group. Although family and friends can approve those requests. Another thing that many groups do is to ask questions (2) to anyone to wants to join the group. My opinion is that an administrator can usually weed out the spammers who want to join the group but are not cruising. If you want to make it a little easier ask some simple questions. What port are you looking forward to? How many DCL cruises have you taken? You can add up to three questions (3). I wouldn’t ask for their reservation number, I think that is opening a can of worms. You can also set up rules for your group. Click Moderate Group (1), and choose Create Rules (2). Facebook already has a good set of rules but you may want to add a rule about selling to the group. It may be a good idea to have a rule for travel agents to keep people from selling to the group and so no one feels another travel agent is getting preferential treatment. Add a photo to the group to entice people to join. You can add any picture, preferable cruise related, to the group page photo. You can also create your own design. The size for the photo is currently 1,640px by 859px. The most important advice is to have fun with the group. A good group allows its members to post and organize events for the cruise. Make sure everyone feels welcome and free to enjoy the group, too. Make sure you add your cruise group to Disney Cruise Line – DCL – Cruise Meet and Fish Extender FE Facebook Groups to help people find your group. If you enjoyed this post check out my posts of the Six Disney Cruise Packing Essentials and Fish Extenders. I also have been working my way through a Trip Report from our time in London and Westbound Transatlantic Cruise. Interested in a Secret Porthole room on the Disney Magic or Wonder, check out our videoes of 5520 and 6006.